S Colombia (east of the Andes), S Venezuela, Guyana, Suriname, French Guiana, Brazil (Amazonas, Bahia, Sergipe, Ceará, Rio de Janeiro, Espirito Santo, Minas Gerais, DF, Piauí, Acre), Ecuador, Peru, Bolivia; Windward Islands. 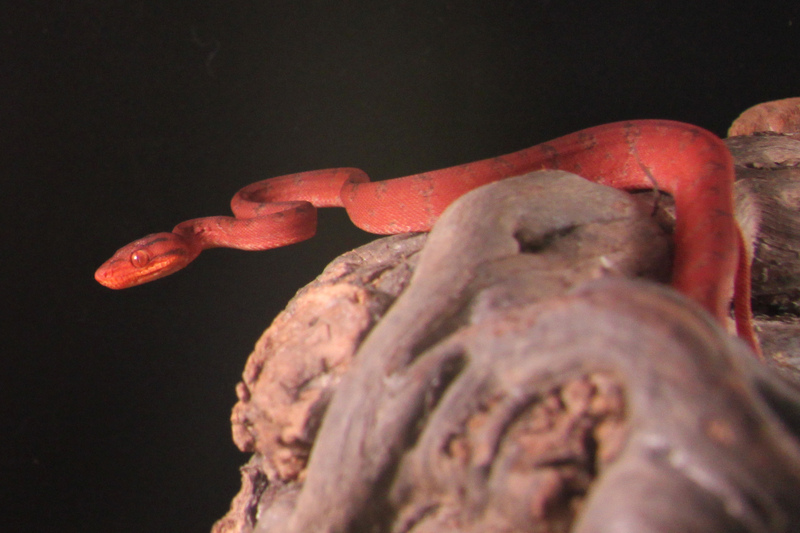 The Corallus Hortulanus or amazone tree boa (ATB) is a small sized boa. Usually 150 to 200 cm in length. When I saw the fresh imported animals from Surinam at Henk Wassenaar I bought my first couple off ATB’s one red male and a grey female. The Corallus Hortulanusare housed in cages build from shuttering plywood 62 cm long, 75 cm wide and 60 cm high. I use newspaper as a substrate. 28-30 degrees Celcius. During the breeding season gradiënt between 21 degrees celcius and 26 degrees celcius. A male ATB will typically probe to a depth of 8+ sub caudal scale whereas a female will only probe to a depth of 4-8 sub caudal scales.